Start the holidays with sounds of joy! 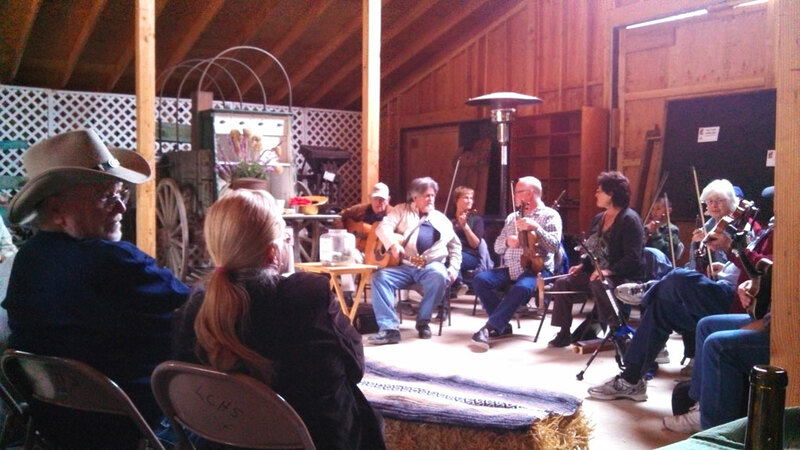 The Old Time Fiddlers Association continues their monthly First Sundays Fiddlers Jam sessions at the Ely Stage Stop and Country Museum. On Sunday, December 1st they’ll be performing beautiful Americana music with a sprinkling of holiday cheer to get you in the spirit! This is a free, family friendly event for all to enjoy, young and old alike. Join us for hot beverages, tasty treats and toe tapping music! We’ll even make room for those who wish to get up and dance! Bring your own wine and sip it in Ely Stage Stop wine glasses that will be available for purchase. The jam will be a great way to wrap up your Thanksgiving weekend, so come on out! The fun begins at the museum at 11:00 a.m. with the Fiddlers playing from 1 p.m. through 3 p.m. Donations will be happily accepted to benefit the Ely Stage Stop and The Old Time Fiddlers Association. The stage stop is located at 9921 Soda Bay Road (Hwy 281) in Kelseyville (near Clearlake Riviera, just north of Hwy 29-Kit’s Corner). Current hours of operation are 11:00 a.m. to 03:00 p.m. each Saturday and Sunday. Visit our websites at elystagestop.com or lakecountyhistory.org or visit us at www.facebook\elystagestop. You can also call the museum at 707-533-9990 during museum hours. Celebrate our American music heritage by joining the Old Time Fiddlers Association for their first of many jam sessions at the Ely Stage Stop and Country Museum. 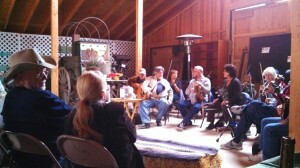 Starting on November 3, jam sessions will be held on the first Sunday of the month. Enjoy the music of the Fiddlers and view our latest exhibits at the Stage Stop. November will feature artwork in a variety of designs using the French beaded and beadweaving techniques, popular in the Victorian era, and created by Ellen’s Beaded Designs. Select pieces will be available for purchase with a portion of the proceeds benefitting the museum. Hot cider and kettle corn will be available. Bring your own wine and sip it in Ely Stage Stop wine glasses that will be available for purchase. The fun begins at 11:00 a.m. with the Fiddlers playing from 1 p.m. through 3 p.m. Donations will be happily accepted to benefit the Ely Stage Stop and The Old Time Fiddlers Association. The stage stop is located at 9921 Soda Bay Road (Hwy 281) in Kelseyville (near Clearlake Riviera, just north of Hwy 29-Kit’s Corner). Current hours of operation are 11:00 a.m. to 03:00 p.m. each Saturday and Sunday. Visit www.elystagestop.com or www.lakecountyhistory.org , check out the stage stop on Facebook at www.facebook.com/elystagestop , or call 707-533-9990 during museum hours.